Wake up every morning to a splendid sunrise and the tranquil sound of the Intracoastal. Whether you wish to enjoy your morning coffee overlooking the water on your private screened porch or on a serene walk on your paved walking path, relaxation is a way of life at Mira Vista. 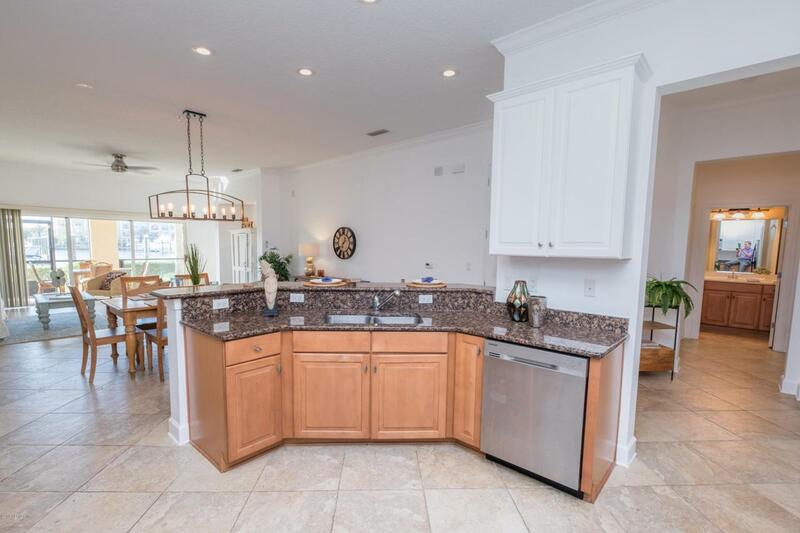 Impress your guests with luxurious fixtures throughout your open concept floor plan or take them on a convenient trip to Florida's sunny coast, a mere 3 miles away! Nestled on the first floor, this unit provides effortless mobility, completing your search for comfortable living. Complete with double closets, spacious bedrooms, and a two-car garage, ample storage is awaiting your treasures! Perfect for a permanent lifestyle, or for an indulgent vacation getaway home, Harbortown will meet all your needs!